3 position adjustable snow blade with replaceable cutting edge. 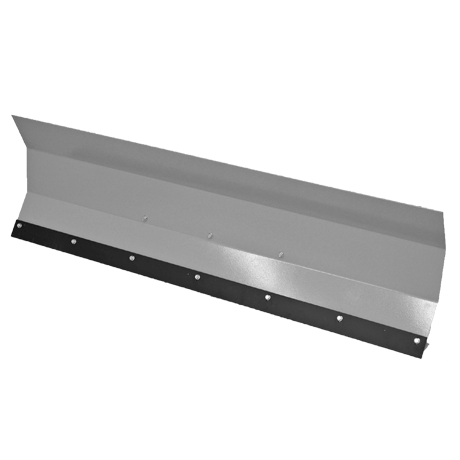 60” wide x 15” high x 12 gauge thick solid steel blade with replaceable cutting edge. Manually angles left and right.